Medicare Overpayment Defense Attorneys - Oberheiden, P.C. Oberheiden, P.C. is a team of former Department of Justice Trial Attorneys, former Assistant United States Attorneys, former federal prosecutors, and experienced defense attorneys who, throughout the United States, represent healthcare providers in all stages of Medicare overpayment cases. Medicare overpayment requests are frustrating and disruptive for medical service providers. Many times providers do not know why they are receiving the overpayment requests or what their rights are to defend against them. Moreover, overpayment requests signal that the provider is facing financial penalties – or worse, administrative, civil or even criminal implications from the Centers for Medicare and Medicaid Services (CMS), the United States Department of Health and Human Services Office of the Inspector General (OIG), and the United States Department of Justice (DOJ). What Is a Medicare Overpayment Request? 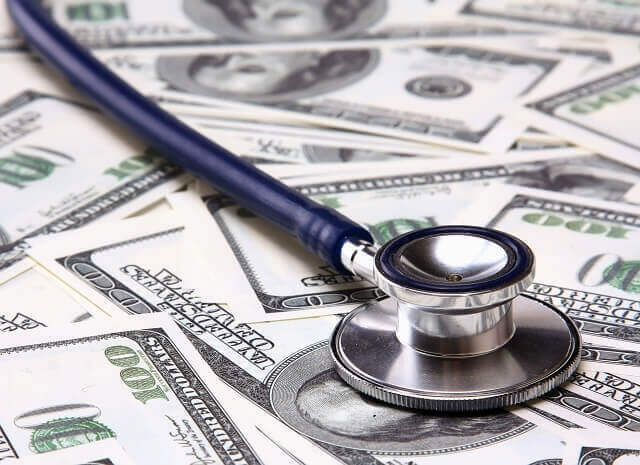 A Medicare overpayment is any money that Medicare reimburses to a provider in excess of what that provider is rightfully owed according to Medicare laws and regulations. Medicare overpayments are amounts of money already in the possession of providers that Medicare seeks to recover. Medicare overpayments are the product of an idiosyncratic difference between Medicare and most private healthcare insurance providers. Whereas commercial insurance plans generally review claims and make coverage determinations before they remit payment to providers, Medicare automatically pays claims as they are submitted and then investigates whether or not the claims should have been paid. Thus, by the time Medicare determines that it has paid too much for a claim or paid for a claim it should have rejected, the money has already been paid out. Medicare uses overpayment requests to recover such funds. This pay-and-chase method of screening claims payment often puts providers in a difficult position, especially smaller practices. Providers may have already incorporated the Medicare funds into their operational accounts and included those funds in their budgets. Additionally, an overpayment request may address a practice that the provider has engaged in for a lengthy period of time, thus striking the provider with a daunting financial demand that the provider is ill-prepared to handle. As a practical matter, any provider who participates in the Medicare program should be aware that payments issued by Medicare are subject to further evaluation and potential recall through overpayment requests. How Does Medicare Investigate Claims? In recent years, Medicare has begun utilizing private contractors to assist with the review, detection, and investigation of claims as part of the Fee for Service Recovery Audit Program. These private contractors form a multi-tiered system for identifying overpayments and recouping funds for Medicare. On the front end, as the liaison between Medicare and providers, are Medicare Administrative Contractors (MACs). MACs are private healthcare insurers which have been awarded a contract with Medicare to process claims on its behalf for a certain geographic area. Medicare also uses Comprehensive Error Rate Testing (CERT) Contractors to review claims submitted to the MACs. CERT Contractors analyze randomly-selected samples of claims to test for compliance with Medicare’s coverage, coding, and billing rules. If a CERT Contractor identifies errors or inconsistencies in a provider’s claims data, the CERT Contractor may refer that provider to their MAC for a claims audit. The MAC audit may result in an overpayment demand or a referral to a Zone Program Integrity Contractor (ZPIC) for a further audit. Medicare also uses Recovery Audit Contractors (RACs) to perform audits on providers suspected of receiving overpayments. Providers flagged by one Medicare contractor are much more likely to face future audits by other Medicare contractors and investigation by federal authorities. How Does Medicare Recover Overpayments? Once a MAC determines that a provider has received an overpayment, the MAC has a legal obligation to make an attempt to recover the overpayment amount. A MAC’s first step in recovering overpayment is issuing Demand Letters to providers. These Demand Letters notify the providers of how much money they owe back to Medicare, a description of the provider’s repayment options, and what rights they have to contest the MAC’s determinations. MACs offer providers a variety of methods for repaying overpayment funds to Medicare, including extended payment plans. Although interest will start to accrue on the overpayment amount after thirty days, these options help make repayment more feasible for providers. Detailed instructions for repayment procedures are included in the Demand Letters issued to providers. Immediate Repayment: Those providers able to do so may avoid interest fees by immediately repaying the amount requested in the Demand Letter. Immediate Recoupment: Providers may authorize their MAC to immediately start diverting payment of their pending and future claims to go toward repaying the overpayment amount. The providers may opt for a full or partial withholding of payment on those claims. Standard Recoupment: Standard recoupment is the default repayment method and will automatically initiate after fifteen days unless the provider proactively requests a different repayment method. Like with immediate recoupment, under standard recoupment the provider’s MAC withholds payment on pending and future claims until the overpayment amount is fully satisfied. Extended Repayment Schedule: For those providers who cannot afford immediate or short-term repayment schedules, Medicare offers the extended repayment schedule. How Can You Contest an Overpayment Demand? A rebuttal is a light version of an appeal – it gives the provider a chance to highlight any plain errors in the Demand Letter to the MAC that issued it, including providing any evidence that supports the provider’s position. Nonetheless, the rebuttal is not an official appeal and it does not stay recoupment activities. However, MACs generally process rebuttals fairly quickly and thus they offer providers an efficient way to address obvious mistakes in a determination. Providers must submit rebuttals within fifteen days of receipt of a Demand Letter. In the first step of the appellate process, a provider may ask the MAC that issued the Demand Letter for a redetermination of the MAC’s initial findings. Although this evaluation will be conducted by the same entity as the original determination, the redetermination will be performed by different agents than the ones who performed the first one. Upon completion of the redetermination, the MAC will issue a “revised initial determination” to the provider accompanied by a Medicare Redetermination Notice (MRN). A provider has 120 days from receipt of the Demand Letter to file a request for redetermination. It is important to note, however, that unless the provider files its request for redetermination within 30 days, the MAC can and will initiate efforts to recoup the disputed overpayment. Medicare offers a form for redetermination requests which asks for such information as: the beneficiary’s name, the date of service, and the specific services or items for which redetermination is being requested. Providers should attach any documentation that supports their position to the request. Providers who disagree with the results of their “revised initial determination” may challenge it by requesting a reconsideration. In a reconsideration, a Qualified Independent Contractor (QIC) – someone from outside the MAC – reviews the provider’s evidence and independently evaluates the MAC’s determination. Like the request for redetermination, the request for reconsideration should include an explanation of the provider’s basis for dispute and any supporting documentation. Providers have 180 days from receipt of the MRN to request a reconsideration. However, providers who wish to stay recoupment efforts pending the reconsideration must file their request within sixty days. Generally, providers can expect to receive notice of the Reconsideration decision within approximately sixty days of filing their request. Providers who do not agree with the QIC’s reconsideration decision may request a hearing in front of an Administrative Law Judge (ALJ) from within the Office of Medicare Hearings and Appeals. The hearing may be in person with the ALJ, but most often the hearings are conducted via telephone or video conference. Unlike redeterminations and reconsiderations, administrative hearings have an amount in controversy requirement. A minimum of $130 must remain in controversy as of the request for the administrative hearing. Additionally, a provider must show good cause as to why the hearing is warranted. The request for hearing must be filed no later than sixty days following receipt of the reconsideration decision letter. The request must also confirm that the provider has served notice of the request for hearing on all parties involved in the reconsideration. CMS or its private contractors may participate at the hearing if they provide notice to the ALJ and all other parties. ALJs typically render their decisions within ninety of receiving the requests for hearing. The next stage of appeal is a review by the Medicare Appeals Council, which is composed of ALJs with specialized knowledge and experience in Medicare laws and regulations. The Appeals Counsel does not conduct an independent review of the facts and evidence of the case; instead, it focuses on the reasoning of the ALJ at the administrative hearing. Thus, the Appeals Council will only reverse the ALJ’s decision if it finds that the ALJ committed an error of law or abuse of discretion. While the request for Appeals Council review does not have an amount in controversy requirement, the request must refer to the ALJ’s decision and cite the specific holdings in dispute. A provider has sixty days from the issuance of the ALJ’s decision to submit a request for Appeals Council review, and the turnaround time for an Appeals Council decision is usually about ninety days from the filing of the request. To qualify for judicial review, a provider’s dispute must involve a minimum amount of $1,260 in controversy. The provider must request judicial review within sixty days of receiving the Appeals Council’s decision. What Happens If You Ignore an Overpayment Demand? Medicare has a variety of ways for pursuing providers who fail to comply with overpayment demands. For providers with who regularly participate in the Medicare program, their local MAC will automatically begin recoupment activities and will continue to withhold the providers’ Medicare reimbursements until the full overpayment amount, including any accrued interest, is received. Providers who do not have enough Medicare claims to timely cover their overpayment demands through recoupment may be subject to debt collection activities through the United States Department of Treasury or other consequences. MACs must make several attempts to contact delinquent providers before referring them to collections, including sending an Intent to Refer Letter through the postal service and reaching out via telephone. Once providers are referred to the Treasury Department for collections, they may face wage garnishment, salary off-setting, skip tracing, credit report searching, or referral to a private debt collection agency. The attorneys of the Oberheiden, P.C. assist medical providers throughout the country to defend against Medicare overpayment requests using their experience as former U.S. prosecutors working in conjunction with HHS-OIG and as defense lawyers. We advise doctors, laboratories, pharmacists, and business owners on the appropriate steps to take in the Medicare appeals process. All clients are represented by senior attorneys with significant healthcare law experience. Nick Oberheiden is the managing partner of Oberheiden, P.C. Nick has successfully represented healthcare executives, business owners, public officials, physicians, and lawyers in civil and criminal healthcare fraud investigations. Lynette S. Byrd previously served the United States as an Assistant United States Attorney (AUSA), in which capacity she coordinated healthcare fraud investigations that involved the OIG, HHS, the FBI, the IRS, and other federal law enforcement agencies.